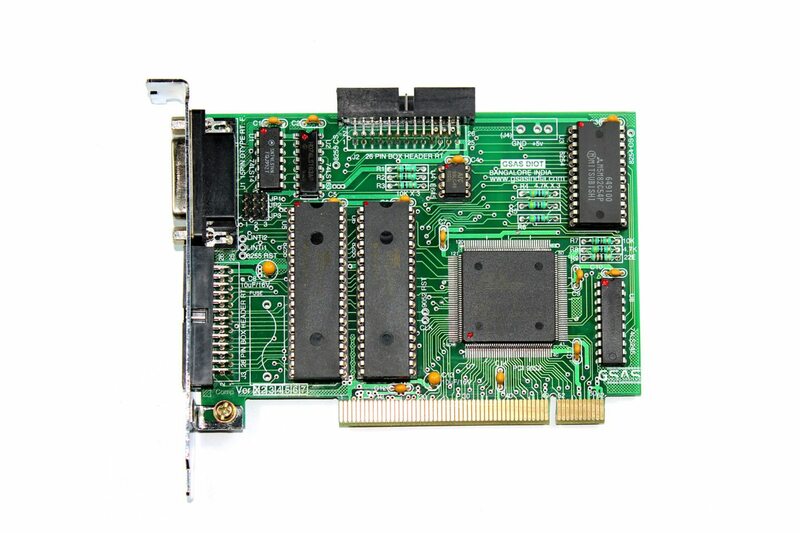 GSAS PCI DIOT card is a Digital I/O and Timer card which finds applications in instrumentation and control, where the digital data from instruments such as Frequency Counters are collected by a PC to observe the status of the digital signals from various sources. These cards can also be used for counting events and pulse width measurement. The output from these PCI DIOT cards can be used to control, observe and actuate external devices like stepper motors, relays, LEDs etc.